Unwrap an experience that everyone on your Christmas list will remember forever with a getaway to Catalina Island. Need a few more ideas? Here are five itinerary ideas to help you plan the perfect Catalina getaway for everyone on your Christmas list. Your true love. Who needs Kay Jewelers when the Island of Romance beckons. Plan the perfect Catalina Island getaway for the ultimate romantic retreat. Avalon’s many boutique hotels offer romantic accommodations or book the Banning House Lodge in remote Two Harbors. Before you arrive, most Catalina hotels are happy to arrange a welcome bouquet of flowers, a tray of chocolates or a bottle of wine for your room. For a special romantic twist, book your getaway for New Year’s Eve and ring in the new year dancing in the Casino Ballroom and strolling the promenade overlooking Avalon Harbor. No matter when you visit, a romantic Catalina itinerary can include challenging adventures you can do together, like scuba diving, hiking or kayaking. A couple’s massage, waterfront stroll and dinner for two round out the perfect Catalina couples vacation. The whole family. Give your family the gift of time spent together by booking a family vacation to Catalina Island. Several hotels offer multi-room discounts or you can book a vacation rental to accommodate the whole clan. 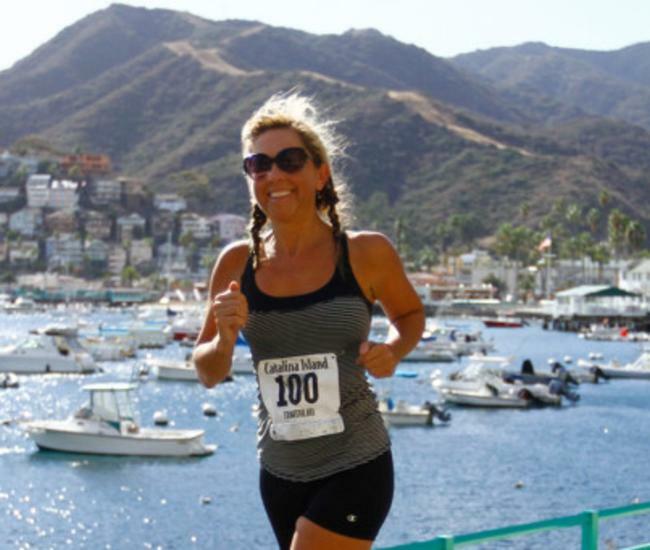 Family activities on Catalina Island will keep your family busy for days. You won’t want to miss miniature golf at the Golf Gardens, a tree-shaded oasis in the center of Avalon that has entertained families of all ages for generations. Don’t forget to plan a special dinner at one of the many restaurants on Catalina Island. Planning to visit with your family during the holidays? Click here for more information about all the festive holiday events, special offers and unique adventures available on Catalina Island for the holidays. Your besties. 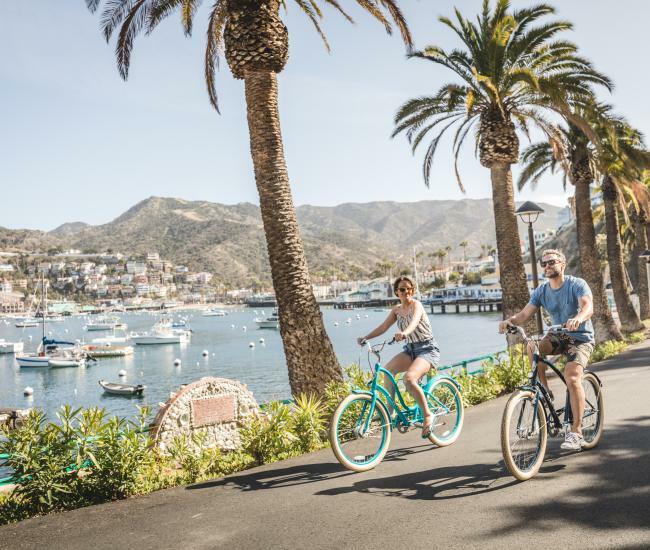 Whether it’s a girlfriends’ getaway, a bro-cation or a combination of both, Catalina Island offers a unique destination for spending time with friends. Invite yours to join you on the island this year in lieu of a Christmas gift exchange and you’ll create memories that will warm your heart all year long. Catalina group activities run the gamut from relaxing to heart-pumping. A few of our favorites are the Zip-line Eco-tour, kayaking and the Catalina Happy Hour Tour, but you’ll also want to save time for golfing, fishing and shopping. Avalon’s many watering holes provide plenty of places to toast your friendship over your favorite libations. Kids. 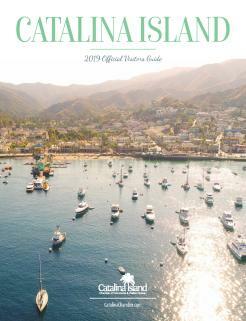 Catalina Island is so popular with kids that it has earned the nickname Kidalina. Increase your own popularity with the kids in your life by promising them a fun-filled Island adventure. Kids love playing on the beach, snorkeling and discovering the underwater world on a semi-submersible. They’ll be clamoring to try out the new Catalina Aerial Adventure located at Descanso Beach – it’s irresistible to adults as well. Catalina kid-friendly restaurants include a pizza parlor where you can throw the peanut shells on the floor and an arcade complete with a restaurant. Yourself. Let’s face it, with all the stress of holiday planning, holiday decorating, holiday shopping, holiday baking, holiday parties and holiday cooking, the best Christmas gift you can give yourself is a little holiday getaway all by yourself. 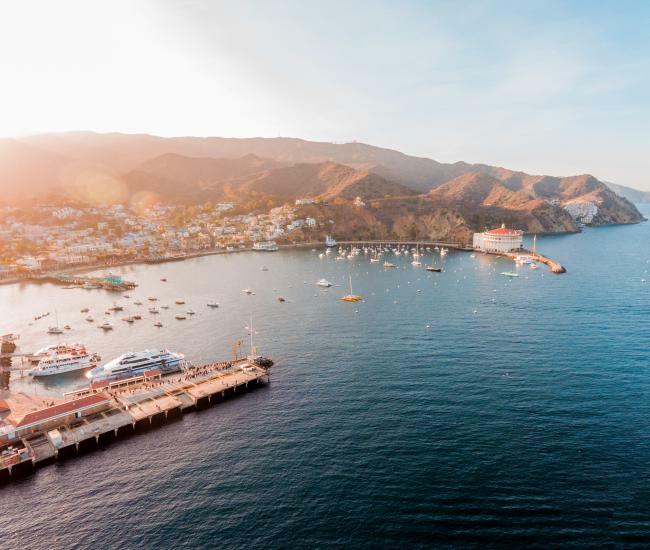 Far enough away from the mainland to feel like a retreat, but close enough for convenient travel, Catalina Island is perfect for a solo vacation. You’ll feel the holiday stress melt away as soon as your board the ferry to Catalina Island. getaway even quicker with helicopter transportation to the island. Once on the island, solo travelers can indulge themselves with a decadent spa day complete with a body wrap, massage and facial. Or take to the hills after getting a hiking permit from the Catalina Island Conservancy to enjoy sweeping ocean views, challenging terrain and fascinating wildlife. A few great tours for solo travelers are the Casino Tour, Catalina Food Tour and the Jeep Eco-Tour.